BENGALURU: For Japan -headquartered Panasonic Corporation, due to celebrate its centennial year in 2018, change has begun from India. Panasonic India, a key player in the ISAMEA region comprising India, South Asia, Middle East & Africa is transforming its business model to offer disruptive technologies. Yoshiyuki Miyabe, Senior MD and Board Member at the Panasonic Corporation was in Bengaluru along with Daizo Ito Managing Executive Officer & Head of ISAMEA Region, and Manish Sharma, President & CEO of Panasonic India to announce the company’s first India Innovation Centre (IIC) – the Centre of Excellence (CoE) in association with Tata Consultancy Services (TCS). The IIC- CoE has to its credit an allocation of Rs 240 crore for the next five years and is slated to bring best minds from the country together to develop transformative solutions on Panasonic’s 5 focus areas – Connected/ Community, Mobility, Energy, Industrial and Finance Solutions. This state of the art facility will be located at the TCS – Bengaluru and is to go live with a headcount of 60. “Smarter future with smarter products & solutions is what we are working at,” informed Miyabe announcing the CoE to members of the press in Bengaluru. 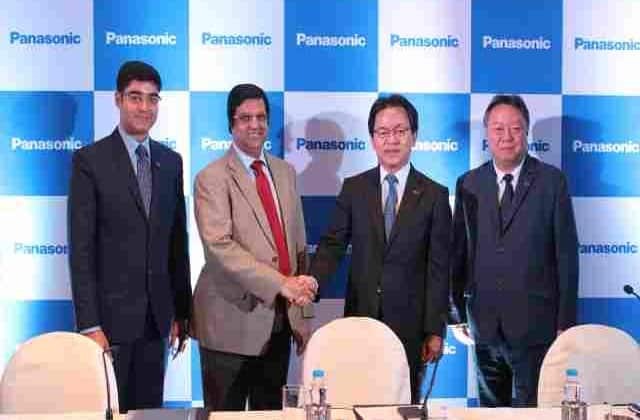 “The CoE will strengthen India’s position as a critical region for Panasonic to lead innovations in the ISAMEA (India, South Asia, Middle East and Africa) market. It will work as a hub that will be central to developing new age technology driven range of products that will emerge from India for both domestic and global consumption, “ said Daizo Ito, Managing Executive Officer, Regional Head for ISAMEA explaining how hardware competencies of Panasonic and Information Technology talent of TCS will synergize to build practical smart solutions for various markets. The company’s other two innovation centers going live in Japan and US will synergize with India Innovation Center at the global level. “The India Innovation Centre will provide an environment to re-imagine and incubate ideas across the key focus areas for Panasonic”, said Manish Sharma, President & CEO, Panasonic India and South Asia. “Solutions developed from this ‘Centre of Excellence’ will not only benefit industry by creating new business opportunities but also make technology more relevant and impactful for Indian Consumers and customers from South Asia, Middle East and Africa,” added Regu Ayyaswamy, VP & Global Head, Engineering & Industrial Services, TCS. Panasonic partners TCS, launches India Innovation Center 0 out of 5 based on 0 ratings. 0 user reviews.